When children are very small, it’s pretty easy to get them to adhere to your requests and to help out. In fact, parents sometimes have to try and stop their children from helping in order to have some alone time. Sadly, this time of cooperation is usually short lived, and moms and dads soon find themselves wondering what happened to their once considerate child. There are ways to bring back the synergy you once had with your child and to foster in them the value of teamwork. You just have to think creatively and get them to want to help you, seemingly of their own volition. Realize that Kids Have a Need to Please – Children are born wanting to please their parents. There is little they want more than your approval, even as they get older. They may not show it as much outwardly, but your words of praise really do mean a lot. So, the first thing you are going to want to do is let him know how much it means to you every time your child does cooperate. Turn it into a Game – Make whatever you want your kids to do into a game, and make cooperation fun. If you need your daughter to clean up her room, have her see how fast she can do it, or play “Freeze Clean,” where your child cleans to music and then freezes when the music shuts off. If you need your son to get off the monkey bars at the park because it’s time to go home, race him to the car. Make Him Feel Important – Make sure you are telling your child that it is very important that he cooperates with you and that he is vital to the running of the household. In the same way adults need to feel valued at the office in order to be productive, kids need to feel like they are indispensable at home. Offer Explanations – Be sure to tell your child why you need him to do what you are asking. Sure, you want your kids to listen to you just because you said so, but they will feel much more motivated to help you out if they know the reasoning behind your request. If you need quiet because you have a terrible headache or you need things cleaned up so that bugs won’t take up residency in your home, share this rationale with your kids. Use a Timer – A timer can be your best friend when it comes to gaining your child’s cooperation. If your child is watching TV and ignoring you, simply state that you will be setting the timer for three minutes. When the timer rings, the TV goes off, and the task at hand will be started. Let your child know what will happen after the task is finished as well. Perhaps they can go back to watching TV, use their computer for a half hour or have a snack afterwards. Using the timer gives your child some transition time, and it is not you that is going to have to sound the alarm. Bag it Up – Implement a new rule. Anything that is not picked up by the day’s end will disappear. Go through the house and pick up any clutter that was left out by your kids and put it in a special bag. You can get creative and make the container into a witch’s cauldron, an elf’s wheelbarrow or anything else that strikes your fancy. You can say that this witch, elf or other character comes in at night and takes things that have been left out of place. The items will magically reappear when certain chores are done. Consider Offering Rewards – Some parents don’t like to reward children for cooperation because they want their children to cooperate for the right reasons, rather than “to get something.” However, if you do want to reward your child for a job well done, there are many creative ways to do so. You can make a cooperation sticker chart and if they earn a sticker each day for cooperating and being helpful, at the end of the week they can trade the chart in for a prize. This will help your child learn what cooperation really means because throughout the day you can point out how your child can improve on his cooperation in order to ensure himself a sticker. Your child can also earn on a task by task basis. For example, if you need him to be quiet for a bit, tell him he will earn a penny for every minute he is quiet, or have him earn a minute of computer time for each minute of silence. 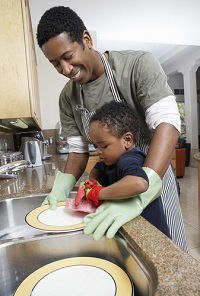 Be a Cooperation Role Model – Remember to model the behavior you want your children to display. If you see your child, or anyone else, struggling, be sure to step in and offer to lend a hand. If you are selfish with your time and energy, your children will take on that same value system. So, be generous with your time. Ask your child if he needs help. He will absorb this habit and begin asking you what he can do to make your life easier. While traditional play dates where kids come over to play for a few hours and then go home will forever be a mainstay, sometimes jazzing them up with a theme adds some pizazz and breaks the ordinary routine. Whether you’re having your playgroup over to celebrate a holiday or you are just getting a group of kids together to play, having a theme can turn an ordinary play date into a special event. Check out these 28 blogs to find theme ideas that are be entertaining for all kids. If it’s your turn to host a play date and a holiday is just around the corner, creating a theme around the holiday is the perfect way to spice up an otherwise normal date with friends. You can incorporate simple craft ideas, festive foods and fun games to celebrate the holiday during your play date. In these seven blog entries you will find play date ideas for a bunch of different holidays. If your house is going to be full of little boys, theming the play date with dinosaurs or super heroes can catapult the play date to epic proportions. 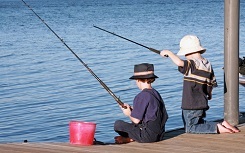 Take your sons favorite hobbies and use them as inspiration for a day spent with his friends. In these seven blog posts you will find play dates featuring everything from super heroes to Legos to dinosaurs. If you’re hosting a play date for a group of girls that love to play dress up or bake cupcakes, these themes might be just what you’re looking for. A bonus to throwing a baking-themed play date? You have built in treats ready to be gobbled up as soon as they come out of the oven! Take a look at the theme ideas and see which one sounds good to your kids. Often, playgroups will have both boys and girls, so why not have a theme that caters to them both? Consider throwing a dance party, a pizza party or a snowman themed play date. Many of these play date ideas use items that you already have around the house, so you won’t have to spend a fortune setting everything up. Get more details about play date ideas on these seven blog articles. How to… Throw a Great Pizza Party Play Date! Fish – Unless you opt for a massive saltwater tank filled with exotic specimens, fish can be an ideal first pet for youngsters. They require daily maintenance that will keep kids interested, but not so much care that little ones become overwhelmed. They’re also virtually guaranteed not to scratch or bite. Guinea Pigs – There’s a reason why these furry friends find their way into so many schools as elementary school class pets; they’re great with kids and fun to interact with. Keep in mind, though, that you don’t want to place an exercise wheel in their cages like those commonly found in hamster cages, as running on them can cause leg and joint damage in these unique critters. Small Dogs – While many parents think that larger breeds like Labradors and Golden Retrievers are the best bet for households with kids, their size alone can be intimidating to small children. Instead, consider a smaller breed with enough energy to play for hours that’s not so big that kids are frightened. Ants – The battle to keep them out of your kitchen seems overwhelming, so at first blush, the last thing you’d want to add to your family is a box full of ants. They’re actually fascinating creatures to watch, very inexpensive to keep and only likely to escape if kids deliberately let them out of their habitat. 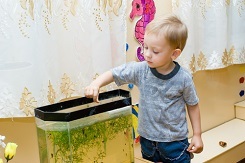 Sea Monkeys – Few pets offer kids the opportunity to watch something come to life, but the brine shrimp commonly referred to as sea monkeys do just that. Like ant farms, their habitats are inexpensive to maintain and provide kids with hours of observational fun without requiring extensive upkeep. Birds – As long as they’re chosen for temperament rather than showy color, certain types of bird make great pets for kids. Their cheery chirping brings a smile to little faces, but their cages do require adult assistance for cleaning and maintenance. Gerbils – While gerbils require less maintenance than cats or dogs, they do need lots of attention and affection to thrive. They’re very unlikely to hurt kids, but little hands can cause the gerbil injury if they get too rough. Be sure to have a long talk about gentleness with your little ones before introducing a gerbil to the family, then enjoy the fun! Hamsters – Similar to gerbils in some ways, hamsters are another fun and cuddly member of the rodent family that make great pets for kids. It’s not a great idea to keep the cage in kids’ bedrooms, however, as these naturally nocturnal critters can make just enough noise to disrupt kids’ sleep if they’re in the same room at night. Leopard Geckos – There’s something about reptiles that appeals to kids, but not all are safe for kids. Iguanas, for instance, have razor sharp teeth that they won’t hesitate to plunge into an offending hand if they feel the urge. They also can carry salmonella. Leopard geckos, however, do tolerate handling and will only reach about eight inches in length, making them more manageable for families with kids. Before you commit to bringing a pet into your home, it’s important that you ensure that you’re well-versed in the care the animal will require and aware of the fact that pet ownership is a commitment that should be taken very seriously. In addition to flooding the market with adult animals that aren’t likely to find homes, changing your mind after lengthy ownership can be hurtful to kids that have grown attached to their animal friends. From doing puzzles to singing songs, there are plenty of fun ways you can help your kids learn and memorize all of the state capitals. When you help your kids learn the state capitals while they are young, recalling them for school purposes later will be second nature. Check out these 18 blog posts that are full of creative ways to help kids learn the capital of each state. Many of the toys that pertain to the states and their capitals are map and puzzle related, but there are card games and flash cards that can be fun for kids too. Whether you use a map the size of an 8×10 picture frame or a foam one that is as big as a throw rug, kids will enjoy themselves while simultaneously learning the capitals. These six blog entries will give you some ideas for toys that will teach him about states and capitals. Teaching Kids the States and Capitals Kids can learn the states, their capitals and their location while playing with a map puzzle. The Scrambled States of America Game—Deluxe Edition Kids Product Review Learn all about this game from people who have played it. Educational Toys for Students Younger students can play with this giant foam map without fear of messing it up. Trend—States & Capitals These flash cards work in any setting, so throw them in your purse and work on capitals while you are waiting for something or are traveling in the car. Learning and Educational Toys Brightly colored toys help keep kids’ attention focused, and kids as young as three can use these toys to learn about geography. The Scrambled States of America Learn how this game is played and why it’s so fun for the kids. Phones and tablets have become more like personal computers, and there truly is an app for just about everything. This includes apps that help kids learn their state capitals. The following six blog posts explore several different apps you can use to help your kids remember their capitals. 7 Essential Apps for Grade School Students Stack the States is an animated app that will make the kids laugh while they learn. Top iPad Apps to Teach Kids US Geography Nifty Fifty and 50 States with Flat Stanley are two of the apps described in this article. Apps That May be Worth Your Children’s Time Stack the Countries and Stack the States are discussed on this blog entry. The U.S. States and Capitals App [Know Your Geography] iPhone This game, while less animated than some of the others, gives you plenty of facts about each state. 22 History and Geography iPad Apps for Kids Learn the States is just one of several geography apps that are explained on this list. 7 Best iPhone, iPod Touch Apps for Students Stack the States is explained on this blog post. Associating one thing with another is a common memorization tactic more often known as a mnemonic device. To employ this learning tactic with your kids, take a look at these six blog articles, which feature various mnemonic devices that help with state capital memorization. Mnemonic Devices This blogger gives a few clever examples of mnemonic devices for states and their capitals to help you get started. The Best Song Ever About State Capitals (Watch) Check out this video; it’s not only funny, but it just may help your kids remember the capitals. The Little Man in the Map Read this review of the book that helps kids learn the location of states and other valuable information. 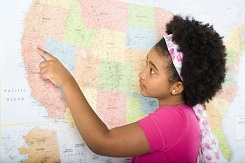 ‘Mnemonic’ for Midwest States and Capitals This list of mnemonic devices for the capitals of the Midwest states will help your child get a jump start on memorizing capitals. Memorization Watch the Animaniacs video or use one of the other techniques listed on this blog post to remember different state capitals. Use Images to Memorize State Capitals According to this blogger, the brain can remember images more easily than words, so the idea is to create images that remind you of the capitals.